The US dollar climbed to a fresh high of 116.33 against the yen on newspaper reports that Japan’s Prime Minister would call a press conference next week to dissolve parliament, call early elections and postpone next year’s sales tax hike. The so-called rumor mill about Japanese political decisions continued on Friday, with negative effects on the yen and positive effects on Japanese stocks. 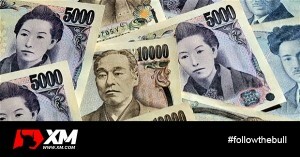 Euro / yen also climbed to fresh 11-month high of 144.75 and eyed the 145.66 high of December last year. Another victim of dollar strength was the UK pound, which still has not managed to shake off the weakness as a result of the Bank of England Inflation Report and Carney’s press conference. The pound was driven below 1.57 to as low as 1.5655; its lowest since September of 2013. Later in the day, Eurozone GDP figures will be closely watched, as the forecast is that quarter-on-quarter growth will rise slightly to 0.1% from stagnation in the previous quarter. A better-than-expected French GDP number that was already released has reinforced expectations of at least a meet of the consensus estimate, while German growth figures were also slightly higher on a year-on-year basis. During the US session, the dollar will react to the latest Advance retail sales estimate. Retail sales are expected to climb at a 0.2% month-on-month rate and anything above that could help the dollar extend its recent impressive run.